Our first summer symposium, organized by Barbara Kline, is scheduled on Tuesday, June 14th from 6-8pm at the Sunnyvale School Admin Building where our normal meetings are held. 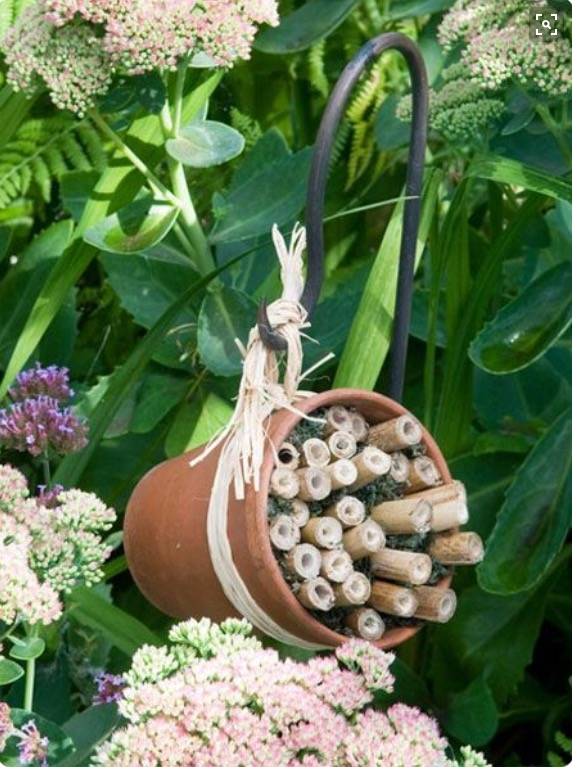 This month, we will be making bee hotels to help with bee conservation. Be sure to invite any friends, neighbors, relatives who you think might be interested in joining our wonderful garden club to come and participate! If possible, a rough estimate of attendees would be helpful, especially if you are bringing guests. Email Barbara Kline Barbarellak@att.net and let her know if you will definitely attend and if you are bringing friends. This will ensure that there are materials for everyone. It’s Pot Luck all the way on the food. Bring your best dish! Casserole, salad or dessert… Barbara will provide the drinks. Don’t miss the opportunity to join in on the fun and make something to help the bees!